We don’t know about you, but when we’re thinking about travelling somewhere new, we love to research where we’re going. So, we thought we’d share a bit about the stops on our group escape to Malawi, and the inspiring stories behind them. 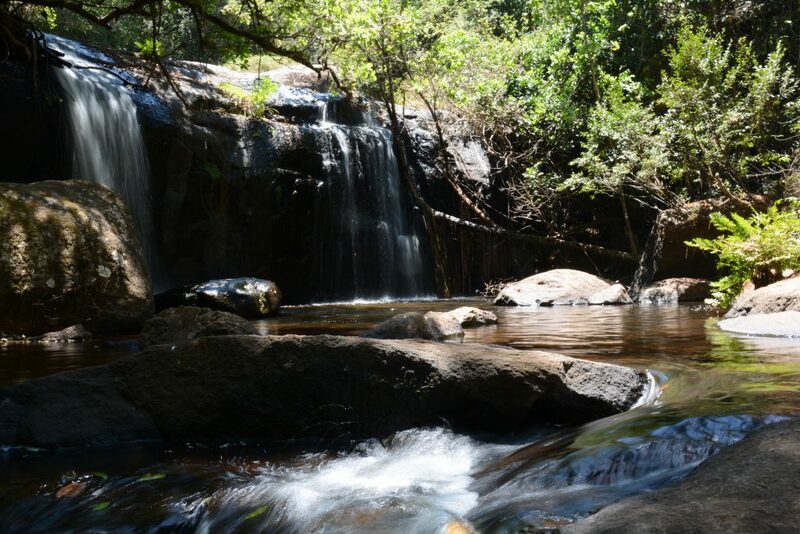 Majete is a beautiful, rugged and thriving wildlife reserve in the south west corner of Malawi. But it hasn’t always been this way. In 2003, it was an empty forest with very few animals and no tourism after years of heavy poaching and illegal deforestation. In just over a decade, Majete has bounced back to become Malawi’s only big five park, thanks to a major overhaul by conservation charity African Parks. Now, there’s a surplus of animals in Majete. So much so, they’re being moved to re-populate other parks around the country. Here’s a short clip of the incredible relocation activity, moving elephants (not the smallest of creatures!) from one side of Malawi to another. It was filmed with Prince Harry, African Parks’ president, last year. So, Prince Harry is president of African Parks, protecting Malawi’s precious wildlife. Leonardo Dicaprio’s foundation has pledged £1 million to support it. Where do we fit in?! Tourism is crucial to the success of the park. So, you just need to come with us to see the wildlife, drink a sundowner or two, and embrace life in the bush… It’s really that simple. This is actually our final stop of the trip, so we’re splurging here. We’ll be staying at Mkulumadzi, Majete’s only luxury lodge, and we have the stunning place all to ourselves. If you’ve been on safari before, this is likely to be quite a different experience. Majete is a true wilderness where every trip into the bush feels like an adventure. We’ll head out on game drives, walking safaris and boat safaris. Read more about Majete National Park and Mkulumadzi Lodge. The island camps were founded in 1996 by two twenty-something couples looking to escape the nine-to-five and build something magical of their own. In true start-up style, they set up a tent on the mainland and kayaked back and forth to build two very simple low-impact camps. They made an arrangement with a shopkeeper to let them use his fax machine for their very occasional bookings. Fast forward 20 years and they have two award-winning camps (still very rustic and eco-friendly, but with a little more luxury thrown in), a cottage on the mainland, a tour company and a spin-off dive school. They also employ 54 full-time staff, almost all from Cape Maclear and many of whom have been with them from the very start. Dreaming big paid off. We’ve factored in a night on each island (Mumbo is more luxurious, but both have a real Robinson Crusoe feel). Plus, we’ll have a night in beach huts on the mainland at Cape Maclear. We’ll spend the days splashing about on kayaks, snorkelling in the freshwater lake, chilling on empty beaches and exploring the islands on walking trails through the forest. After dinner and G&Ts, it’s off to bed with a sky completely full of stars before waking up to the most beautiful sunrise you can imagine. (This is a time-lapse we filmed when we were there last year). Read more about Mumbo and Domwe islands. Zomba, Malawi’s first capital, is a pretty town with a British colonial feel that’s best known for its fabulous plateau. With pine, conifer and eucalyptus trees lining the ridge, tumbling waterfalls and stunning mountain scenery, it’s a beautiful spot for a day’s hiking. We’re spending a couple of nights here, and will head out on a day hike with local guides to show us hidden trails and waterfalls, and tell us about the local environment we’re exploring. Afterwards, we’ll have a well-earned feast. Zomba has some of the best food in the country. We’ll stay at Zomba Forest Lodge and Casa Rossa, two lovely guesthouses run by friends, both with fantastic food. We’ll have all meals and activities together, and just divide the group to sleep. Read more about Zomba Forest Lodge and Casa Rossa. Finally, Lake of Stars is a 3-day music and arts festival on the shores of Lake Malawi, celebrating its fifteenth anniversary this year. It was founded by Will Jameson, a Brit who visited Malawi on a gap year before university and fell in love with the country. He set up the festival to encourage tourism to the country and give Malawian artists an international stage (taking inspiration from events like Glastonbury). Here’s Will delivering a Ted Talk about it. The first year, around 400 people came along. The last couple of years, there’ve been more than 4000, including a real mix of locals and international visitors. It’s also been featured as one of TimeOut’s top 50 festivals around the world. The line-up is always a mix of artists from Malawi and across Africa, plus European artists too. Headliners in the past have included Annie Mac, Beverley Knight, Bombay Bicycle Club, Basement Jaxx, Goldierocks, Groove Armada, Hot Chip, The Noisettes, Ric Hassani, Rob da Bank, Young Fathers, and many more. We’ll stay at Kumbali Lake Retreat, an eco-friendly resort on a gorgeous stretch of the lakeshore. This is a beautiful place to visit in its own right. There’ll be opportunities to go kayaking on the lake, hiking into the hills and looking for wildlife, as well as visiting the festival itself. Read more about Lake of Stars Festival and Kumbali Lake Retreat. 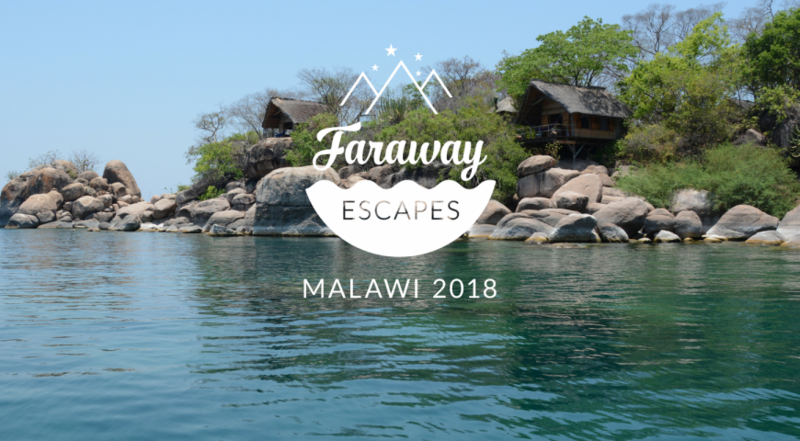 The group escape is taking place in Malawi from Sunday 23rd September to Wednesday 3rd October 2018. Special promo prices (£2,750) finish on 9th June. If you’d like to come sign up here before then to take advantage of the discount. As always, send us a note at hello@wearefaraway.com if you have any questions.